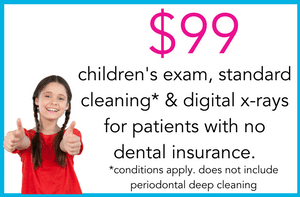 Call our Smyrna GA Emergency Pediatric Dental office at (770) 302-0504 right away. Whenever possible, we offer same day service appointments for dental emergencies – for patients and non-patients – we are available to answer your questions even after business hours and on weekends. Take Tylenol® or Motrin® at age and weight appropriate dosages to reduce the swelling and relieve the discomfort.